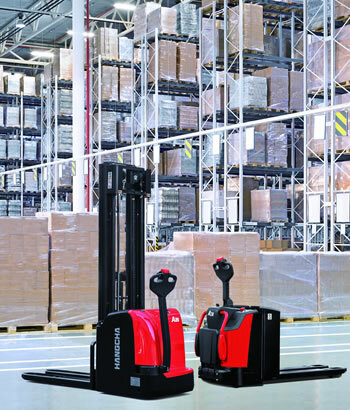 When you become an approved HC-Forklifts-UK forklift dealer, not only will you be getting instant access to a complete range of materials handling equipment which offers outstanding value for money, but you will also receive a unique support structure to help you deliver unparalleled value and service to your customers. This unique combination has been key to us becoming one of the fastest growing materials handling distributors in the UK. We understand having immediate truck availability is key to winning deals with customers. HC-Forklifts-UK hold an extensive range of truck inventory within our UK central facility, helping to provide equipment when you need it most. Covering 1.0 – 12.0 tonne IC engine trucks, 3 and 4-wheel counterbalance electric trucks and a full range of warehouse equipment, we can provide a solution for all your customers’ requirements. The full range of HC-Forklifts-UK equipment is designed to keep your maintenance costs to a minimum which is why they do not require any specialist equipment to maintain them. We have a dedicated technical aftersales support team who are on hand to assist you with any queries, giving you the best expert advice wherever required. Any downtime due to poor quality components or delays in parts supply causes time consuming headaches for businesses. We stock a large selection of genuine, fast moving Hangcha parts which are available within 24 hours in most cases. From new radiators and headlamps, to seats and steering axles, we have an extensive supply of parts that covers all truck models that we sell. This is backed up by an extensive parts supply chain at our new European Hangcha facility which stocks over 10,000 components. HC-Forklifts-UK provides in-depth training which can be tailored to your specific requirements. Offering expert advice to both dealers and their customers, our courses cover a range of areas including: all HC materials handling equipment; method of operation, plus maintenance and service. What’s more, our training can be carried out on your premises giving you the flexibility of working around your business operations. *Other training subjects can be requested and tailored to your specific requirements. The trucks are in stock for immediate delivery. This is crucial to help win deals with customers and has helped us double our sales of Hangcha machines in 2016.